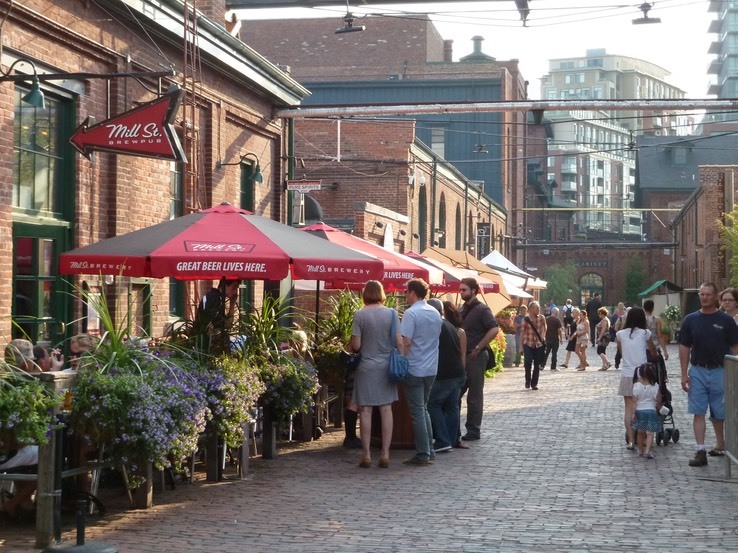 The Mill Street Brewpub is located in the heart of the Distillery District in Toronto. The area got its name from the primary activity that occurred there. The buildings date from the 19th century. Today those buildings have been restored and the area is a large pedestrian mall with many eclectic shops and restaurants. The streets are all paved with bricks, which adds to the atmosphere. The pub has two outdoor patios, one in front and one in back. The hostess desk is outside under an umbrella, so you are greeted and have a chance to look at the menu before you even open the door. Inside there is a bar and lots of table seating. The brewing room has large plate glass windows so you can watch any activity there. We ordered a sampler, a flight of four beers, which included the tankhouse ale, stout, ESB, and an IPA. The beers were pretty good, especially the tankhouse ale. The food they serve is pub style. We tried their lamb stew, which was quite good. Of course they have a store, where you can taste beer, and buy beer and all sorts of souvenirs. If you choose to visit the Mill Street Brewery, be sure to take a walk around the district, as there is much to see, even if you aren’t in the mood to shop. It is just an interesting place to visit. 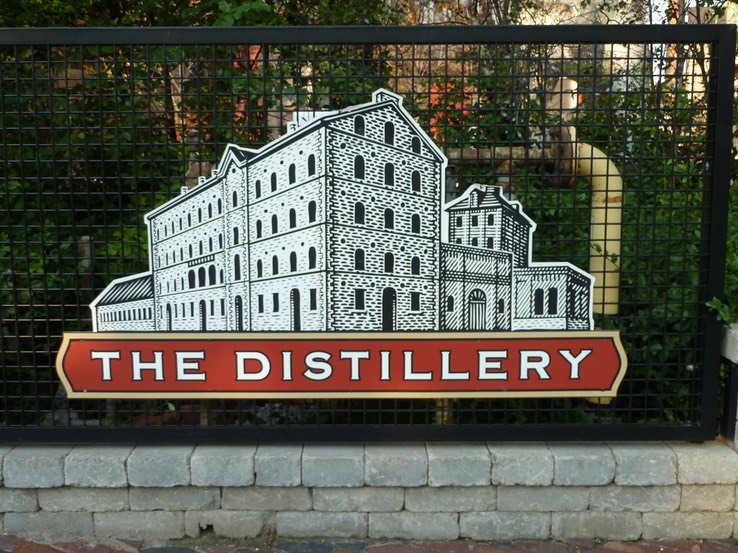 There are more photos, including a selection of Distillery District photos, in the photo album.